Media Mind Control is a precise science. What we find on planet Earth is a network of interwoven mind control distribution nodes. It is a grid that reaches into all lands and affects all people regardless of location, perceived race, skin color, cultural orientation, sexual preference, political ideology, religious belief, economic status, etc. As it relates to the psycho-physical subjugation of masses of people on planet Earth, there is not one vehicle of influence that can remotely compare to that of the media mind control global apparatus. While in the midst of the media mind control global apparatus, an individual will not realize that they are being subconsciously influenced nor will they realize the sometimes overt, but mainly covert, means of subconscious manipulation present within the media mind control global apparatus. Within this apparatus there are many who believe that they are making conscious decisions about the direction of their lives. However, in many cases, such individuals are simply provided with the belief that the choices that they are making are based upon their own conscious awareness; choices that are, in fact, the result of media manipulation i.e. mind control programming. 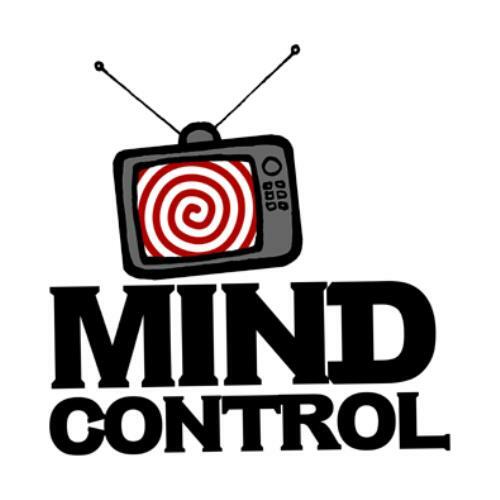 The mind control programming is perpetual and is designed to, in the first place, deny the mind control victim of its ability to consciously choose, and to ultimately insight a predetermined psychological, and or emotional, and or physical response within the individual so affected. A classic example of this would be Occupy Wall Street (2011) which was a social/cultural experiment that had global influence via behavior modification. People the world over were mesmerized / programmed into thinking, reacting, and behaving in a predetermined way without conscious thought while believing that they had made a conscious choice. 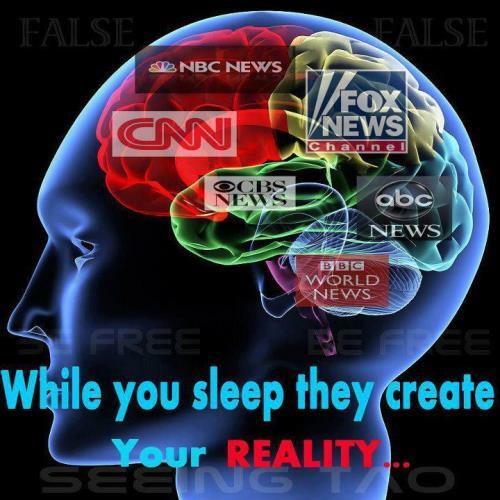 Many of the media mind control programs are strategically designed to create such a belief; the belief that any given choice is the result of a conscious thought process. Understand that there is no better way to control the masses than to have the masses believe that they are making a conscious choice; a choice that ultimately disempowers them. Those who produce the programming to initialize this process of behavior modification are well aware of the behavioral expressions manifested via the manipulation of the subconscious mind. This is to say that the vast majority of those who embraced Occupy Wall Street did so not out of a conscious choice, but rather out of subconscious manipulation. Subsequent behavior patterns that resulted from such manipulation were predictable and were the result of the subconscious acceptance or the subconscious “embracing” of the Occupy Wall Street Mind Control Program. This “subconscious-sourced embrace” can be applied to various media focal points including the current “Trayvon Martin” media blitz (2012), wherein a great tragedy has been hijacked by media and turned into a means of manipulating the masses into engaging in thought patterns, emotional patterns, and behavior patterns that are conducive to the trivialization of the tragedy itself. This subconscious-sourced embrace is actualized by a very precise, scientific, and ordered process; one that is repeated over and over again; the only change occurring in the topic of focus. Let me explain what I mean by this. As it relates to the manipulation of the subconscious mind so as to actualize the acceptance or the embrace of a particular issue, as being relevant to the mind control victim, there is a precise modus of operandi employed. This level of mass diversion is purposeful and actually maintains a particular power structure. This maintenance is also strategic, and is actualized not through physical force but rather though careful and long-term manipulation of the human being’s subconscious mind. The individual whose subconscious mind has been manipulated into externalizing focus believes that by externalizing focus they will change the power structure itself; not realizing that the externalization of focus is what maintains and emboldens the power structure in the first place; a fascinating paradox to say the least. I must also mention that the behavior patterns that manifest out of this externalization of focus are Perfectly Predictable. As a brief example: Posting memes, short videos, blogs, etc. about the Global Bankers, the illuminati, George Bush, Freemasons, Barak Obama, the Queen of England, Nicki Minaj’s Grammy outfit, Madonna’s Halftime Super Bowl Ritual, Occupy Wall Street, Monsanto, or Troy Davis are all predictable behavior patterns, and are, from the vantage point of the Media Production Think Tanks, symptomatic of the degree to which the masses have been mind-controlled. Understand that it was perfectly predictable that the masses would jump on board the “Occupy Wall Street” media mind control program. It was perfectly predictable that the masses would jump on board the “Occupy Monsanto” media mind control program. It was perfectly predictable that the masses would jump on board the “Kony 2012” media mind control program. And now it is perfectly predictable that the masses would jump on board the “Trayvon Martin” media mind control program; the programming in this particular case is so deep that adults are currently walking around wearing hoodies, as if a simple fashion statement is somehow a meaningful contribution to the upliftment of the human species. In essence, the great injustice committed against Trayvon Martin has been reduced to a hoodie. I will tell you that these childish displays are symptomatic of the efficiency of mind control programing and the ability that such programming has in modifying human behavior; behaviors that are predetermined and perfectly predictable. I must also mention that the degree of accuracy, in behavior modification predictability, functions as entertainment to those who are part of the Media Mind Control Think Tanks (more on this later). Human behavior is constantly being modified. This modification is largely actualized through the manipulation of the subconscious mind. With these levels of manipulation established, the behavior of the manipulated individual will, in most cases, be determined prior to the manipulation taking place. In others words the behavior modification is perfectly predictable and the programming needed to realize such modification is the means to that end. Trayvon Martin Hoodies, skinny jeans, ripped jeans, planking, silly banz, sagging pants, Kriss-Cross pants, flat tops, jheri curls, the shag, mullets, Tebow mania, Lynsanity, gangster rap, Air Jordan Shoes, high heel shoes, cigarettes, excessive tatooing, cougarism, polygamy, so called “girl” power, man purses, 2012 Doomsday Prophecy, the BP Oil Spill in the Gulf of Mexico, etc. Most people who have jumped aboard any of the above mention media mind control programs did not do so through intellectual process. Instead, they were programmed to do so via subconscious manipulation which brought forth a psychological condition wherein the individual disconnects from their ability to consciously choose; and is subsequently subject to the subconscious programming that brings about emotional reactions, childish behaviors patterns, and an overwhelming surrender of personal power and personal responsibility. Most importantly please understand that: This level of surrender functions as entertainment for those who produce the media mind control programs. In essence, the masses are provided with various entertainment topics that stimulate in the masses a predetermined psychological, emotional, and physical response. The stimulated response becomes entertainment for those who produced the media mind control programs. This is what I call “The Media Manipulation Petri Dish”; the manipulated masses are the bacteria that are manipulated from afar; carefully kept at a safe distance from the scientists/social engineers. There are those who will say that any of the aforementioned media mind control programs are important and that they must focus on such things in order to create change. I will say to these particular people, that time always tells the truth, and that if you make a “conscious” choice to simply write down any given media mind control program, and wait 3 months, you will soon find that what you believed to be worth your time, what you believed to be relevant, what you believed would create positive change was simply a waste of energy and a waste of valuable time; energy and time that one could direct towards improving upon ones internal condition thusly coming to a place of personal empowerment; an empowerment that would provide the necessary tools to create positive change. Again, if you waited just 3 months you would realize that you were led to focus on something that didn’t matter to you prior to media manipulating you into believing that it mattered. You will find that this manipulation was subconscious. You will find that the stories that you rallied around were completely irrelevant to you from the beginning. In many cases you will find that the stories that occupied your thoughts so vehemently faded away in direct proportion to media’s toning down its reporting on such stories. This is to say, that in such a case, media controls what occupies your mind, your time, and your energy. As soon as media picks up a story it becomes relevant to you. As soon as media drops a story it is no longer relevant. Again, write down those stories that you feel are currently relevant to you and wait 3 months to see whether or not those stories were worth your focus. Again, this is a 3 month challenge and during those 3 months you must not subconsciously embrace any new media mind control programs. In waiting 3 months you will also find that any given story will be re-packaged and re-distributed so as to reinforce predictable behavior patterns as was the case with Occupy Wall Street and Occupy Monsanto, The Death of Osama Bin Laden and The Death of Moammar Gadhafi, Troy Davis and Trayvon Martin, ad infinitum. Special note: If you really want to challenge yourself you can look at the recycling of stories that occur over decades such as “Weapons of Mass Destruction” in Iraq and “Weapons of Mass Destruction” in Iran: this happens to be part of the Regime Change Script (R.C.S.) and is part of the broader mind control apparatus which I have termed “The Global Motion Picture Stage Show”. I am often asked for my opinion concerning the various media mind control programs issued through news media. I frequently dismiss such inquiries in that, after 5 years of research, countless hours of documentary work, and countless radio shows on the topic, I have come to the realization that no form of media manipulation can take place without some level of consent and that all forms of media manipulation are external in the first place and can be easily neutralized via internal purification. Far too many are unwilling to engage in the process of internal purification and, as a psychological defense mechanism, subconsciously embrace any external distraction that media presents. This subconscious acceptance, in effect, absolves the individual from rectifying their own internal psychological turbulence; for it is easier to focus on distractions that are outside of you than to deal with the mentality that resides inside of you. Those who commit to improving upon their internal condition will be equipped to make the greatest contribution to uplifting the human species. Those who commit to focusing on external distractions will be susceptible to the various techniques and strategies of media mind control. My dear family and friends the time is now. It is time to look internally and ask the critical question, “What do I need to do to improve upon my own condition so that I can make a respectful contribution to the upliftment of all of humanity?” When you are able to fully answer this question you will arrive at a place of personal empowerment and conscious choice. As a result you will be in a position to begin the process of creating positive change for all of humanity. I will be joining dozens of other great speakers to discuss these topics, and many other issues that are facing our world at this time. For more information about the Free Your Mind Conference, Click HERE and get your tickets today! For more information about the science and techniques of media manipulation you can purchase my 14 hour video series “How to Decode Media Manipulation 101”.